Lock in a great price for Canaves Oia Suites & Spa - rated 9.5 by recent guests. 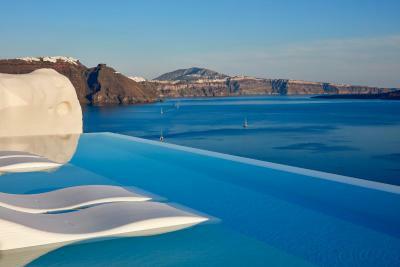 The hotel is just amazing, perfect location, perfect view on the Caldera. Beautiful resort with fascinating views, friendly and caring staff. Staff do everything to please guests. 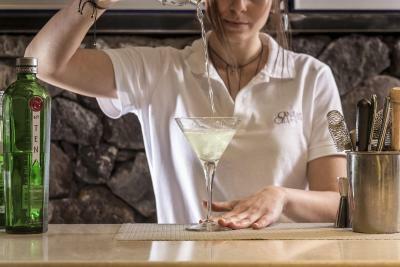 Staff were incredibly helpful for both our stay in Santorini, and even beyond (we received great advice for our future trip to Crete). 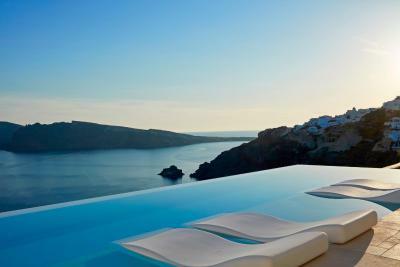 The suites are exquisite, close to the shops and restaurants in Oia, and with breathtaking views of the Caldera. 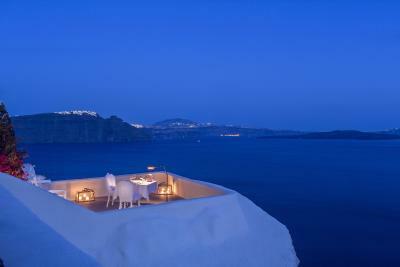 Excellent staff, unbelievably friendly and very natural- really fantastic and of course the views!! Director George was with us all the time and he did the best to make a memorable stay for us! 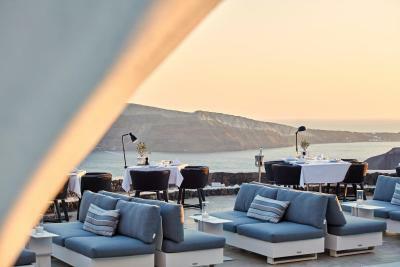 Canaves is the top in Santorini. Suite was clean, modern and full of services. 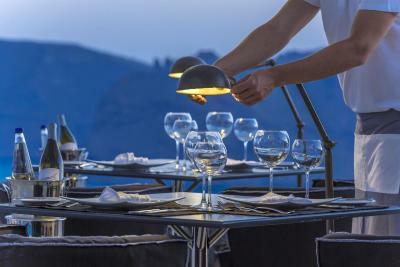 Breakfast is unique experience with the incredible caldera's view. The staff is excellent, especially Caterina is one of the best receptionist i've met in my business trips. I hope to come back asap. The stuffs are very helpful, friendly. 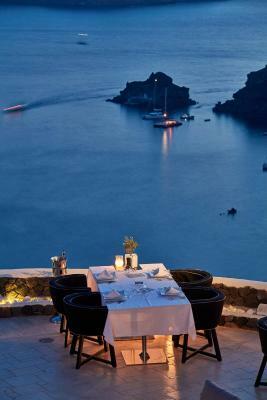 We had romantic dinner in our room, my boyfriend is very picky about food, but the meal is really amazing us. During our stay every thing is perfect! the staff were very friendly and hospitable. Love the hot tub，breakfast buffet could offer many choices，everything couldn't be better. The sea view was amazing，I can see the sunset and blue dome outside the room. Wish I could stay longer. Highly commend in Oia. 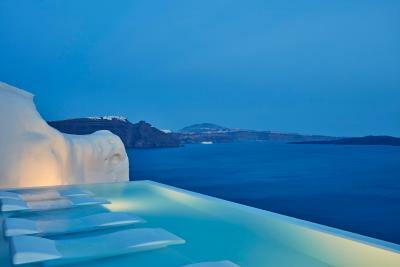 Canaves Oia Suites & Spa in Oia are built on the side of a cliff overlooking the Caldera. They offer private parking and gourmet dining. 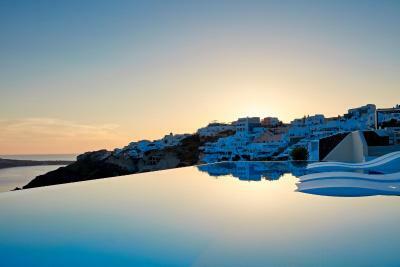 A private motor yacht is available for cruises in the Aegean Sea and the islands. 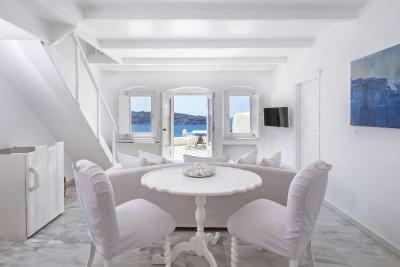 Canaves Oia Suites & Spa provide luxurious accommodation in spacious suites and rooms beautifully appointed with antique furniture and art objects. 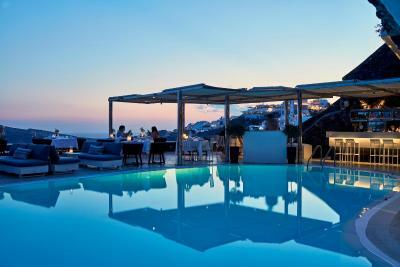 The property facilities include an outdoor pool, a pool bar and a 24-hour reception. Free Wi-Fi is provided in all areas. 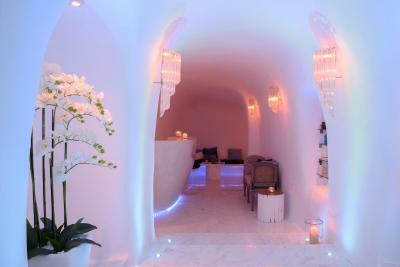 Guests may enjoy gourmet dishes served at the à la carte restaurant, while a wine cellar is available to guests. 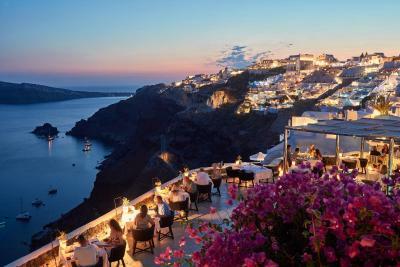 The scenic Fira Town is 6.8 miles away and the port of Athinios is 12.4 miles away. Santorini National Airport is at a distance of 10.6 miles. 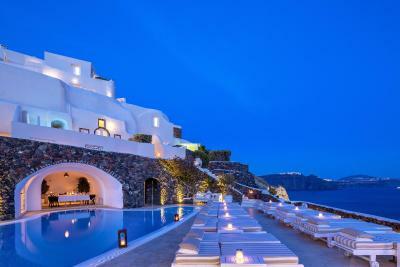 Canaves Oia Suites & Spa has been welcoming Booking.com guests since 9 Jul 2009. 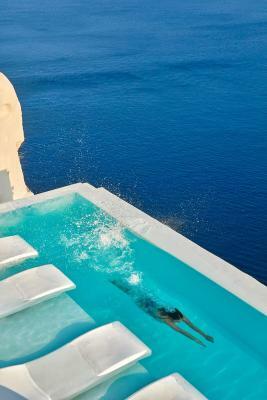 When would you like to stay at Canaves Oia Suites & Spa? This room type can accommodate 1 extra bed. This room type can accommodate 1 extra bed. The sofa bed is in the living room. Consists of bedroom with king-size bed, separate living room, spacious bathroom with rain shower, walk-in closet and private veranda with outdoor infinity pool with view to the volcano and the Aegean Sea. Consists of 3 double bedrooms with en suite bathrooms with shower, air conditioning, LCD TVs, bathrobes and VIP bathroom amenities. It has a spacious living and dining area with LCD TV, a fully equipped kitchen and a spacious veranda with a hot tub. 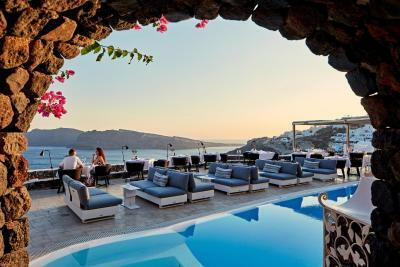 This elegantly furnished suite opens to a private terrace with a plunge pool and hydromassage jets, offering views of the caldera, volcano and the Aegean Sea. It consists of a separate bedroom, living room and bathroom with rain shower. 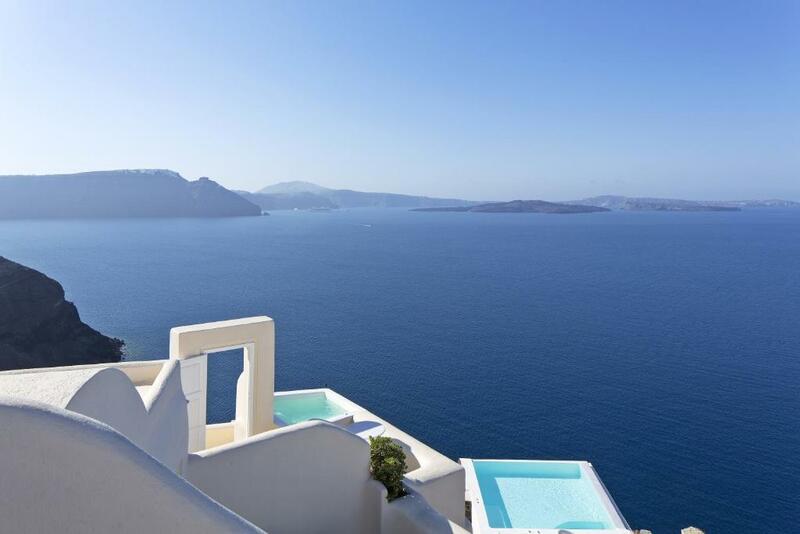 Spacious and elegantly furnished, this suite opens to a private terrace with a plunge pool and hydromassage jets, offering panoramic views of the caldera, volcano and the Aegean Sea. It consists of a separate bedroom, living room and bathroom with both a rain shower and bathtub. 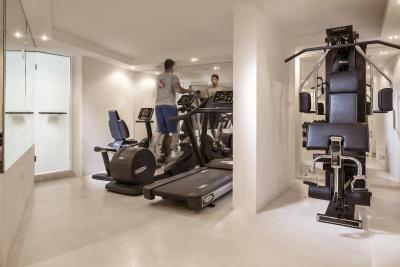 Special features include a walk-in closet and outdoor dining area. This suite has a balcony, flat-screen TV and seating area. This suite features a balcony, CD player and minibar. This suite has a balcony, soundproofing and private pool. 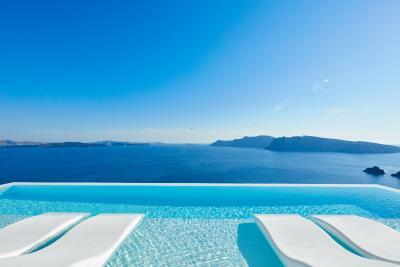 House rules Canaves Oia Suites & Spa takes special requests - add in the next step! 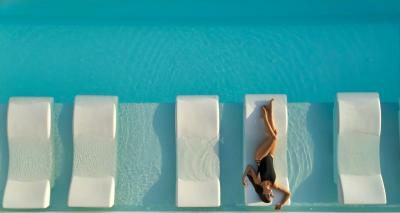 Canaves Oia Suites &amp; Spa accepts these cards and reserves the right to temporarily hold an amount prior to arrival. 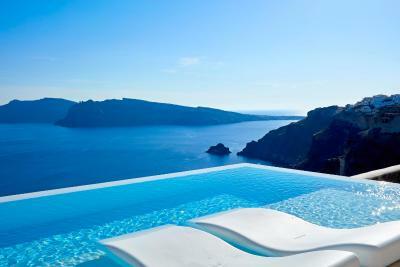 Canaves Oia Suites & Spa accepts these cards and reserves the right to temporarily hold an amount prior to arrival. The pool water was so cold! That’s nobody’s fault but the weather. I guess a plus would be if the pools were heated. Best hotel experience so far. 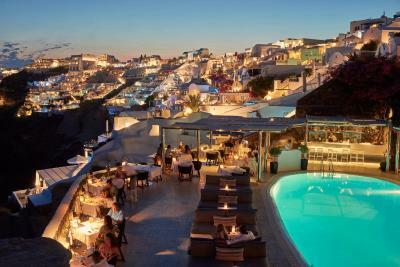 Absolutely perfect hotel - perfect staff, location, facilities - I would never even consider staying anywhere else in Santorini. Thank you to all the staff. Housekeeping service could be more diligent and thoughtful, especially the turn down service in the evening.